Women on the go can find the gift of prayer in the midst of chaos! - Publisher Readers will experience the power of having a vibrant life of prayer and relationship with God and discover the creative ideas to weave prayer into the fabric of their day. 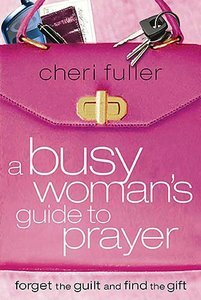 About "A Busy Woman's Guide to Prayer"